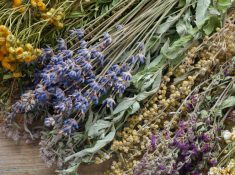 Have you thought about making your own herbal first aid kit, but then felt overwhelmed with deciding which herbs and remedies to use? 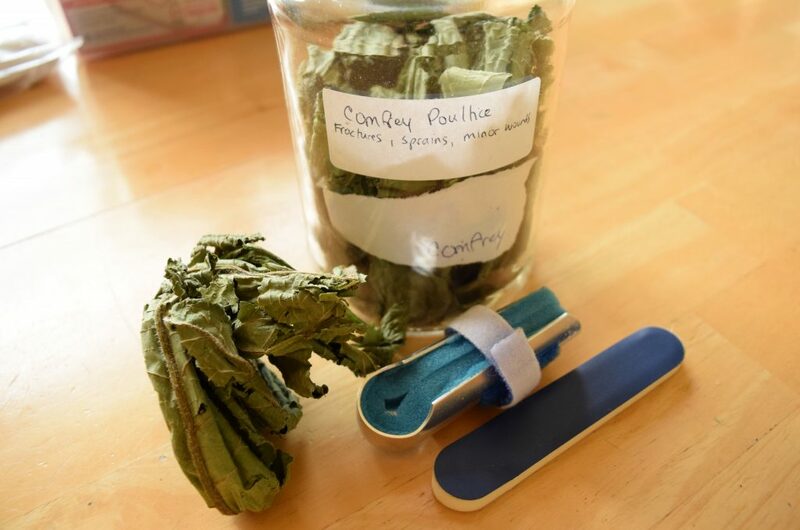 You might think it’s too much trouble and expense, but creating a homemade herbal first aid kit really doesn’t have to be complicated or expensive. Herbal remedies are a truly wonderful way to treat our minor first aid events, as they work with the body to slow bleeding, provide protection against infection, soothe pain, promote new tissue growth, and quicken the healing process. 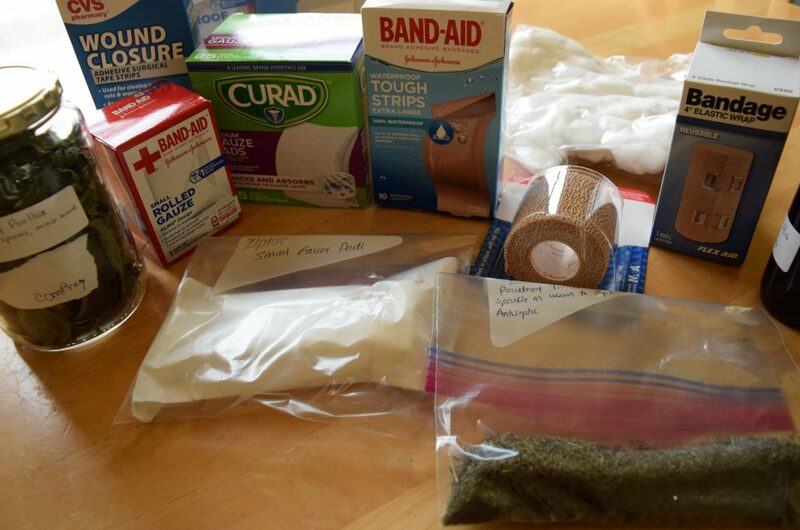 Let me show you how easy it is to make your own herbal first aid kit using all-natural, homemade remedies. Disclaimer – Please Note: the information provided here is not intended to replace professional medical advice and care. It is simply my perspective for you to consider as you make good choices for you and your family’s health. however, can  trigger side effects and can interact with other herbs, supplements, or medications. Seek the support and care of a physician and/or complementary care practitioner you trust, and above all, listen to and trust in yourself. Be well! In creating our family’s herbal first aid kit, I chose herbs which are easy to forage and easy to grow, even on a balcony. Rather than choosing many herbs for different purposes, we can stock our herbal first aid kit easily with just a few remedies using herbs that offer a variety of benefits. In addition to being great at healing, all of these herbs serve multiple purposes. 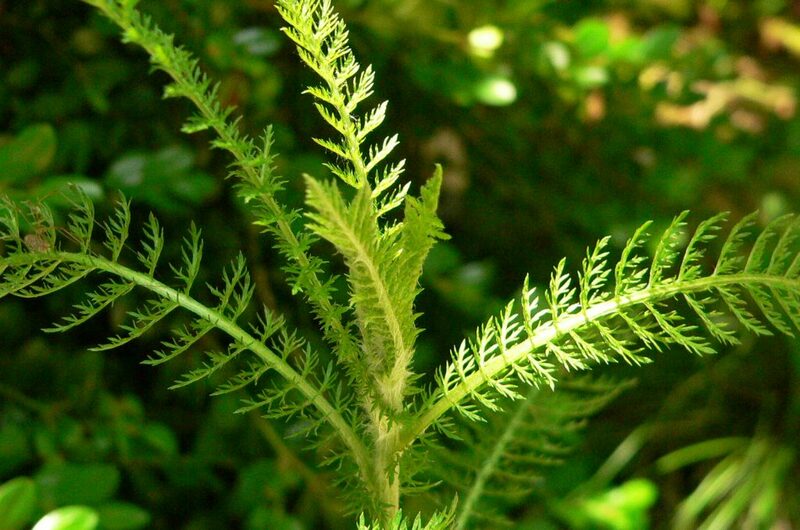 For example, yarrow is an amazing herbal remedy – this single plant has the ability to stop bleeding, reduce fevers, relieve pain, reduce inflammation, and is a powerful antiseptic. 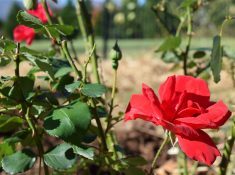 There are so many wonderful healing plants to choose from, but I am going to suggest my favorites, with a brief explanation of how they work, and how to prepare them. Setting up your DIY herbal first aid kit in advance will make things go easier for you when you find yourself needing your herbal remedies, either for yourself, or for your family. 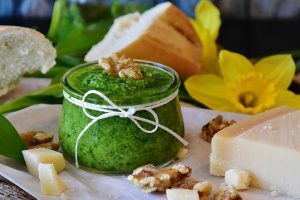 And, if you want to learn to grow your own herbs for easy use and a regular supply, read Starting Your Medicinal Herb Garden – 5 Herbs to Grow In Containers and Gardens. And Drying Herbs in a Dehydrator is a great way to preserve your herbs. Keep it simple. Having too many things in a first aid kit can make it harder to make decisions during an emergency. The herbal remedies need to offer strong, effective results. Some herbs work better than others, and the herbs I suggest all have strong healing properties and a long history of use. The remedies should offer quick results. They should be useful for multiple things, or do something important that other remedies simply can’t do. These herbs are the remedies my family turns to for our first aid. Since we left the suburbs three years ago and started our homesteading adventures, we have experienced more injuries. Deep cuts, broken bones, bee stings, splinters, and minor burns have afflicted my husband, youngest daughter, and myself. Most of these injuries were relatively minor, although all three of us have had deeper cuts that required stitches. But instead of going to the nearest urgent care center, we chose to treat ourselves with the herbs around us, and have enjoyed great success. It is an empowering experience taking care of ourselves, using all-natural homemade herbal remedies. Herbal medicine is truly a gift and I am deeply grateful. But when assessing any first aid situation, always use common sense and caution. Some things are best handled by a professional. 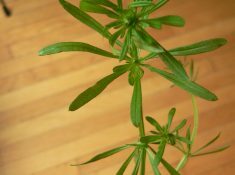 If you plan to forage for herbs, use caution and verify you have the correct plant. Use a reputable field guide for plant identification such as Peterson’s or Newcomb’s Wildflower Guide . 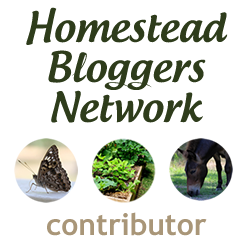 Let’s talk about the herbs and how they can help. Yarrow is my number one herb for first aid. It is the first herb I turn to for cuts and scrapes, which seem to be the majority of our first aid events. 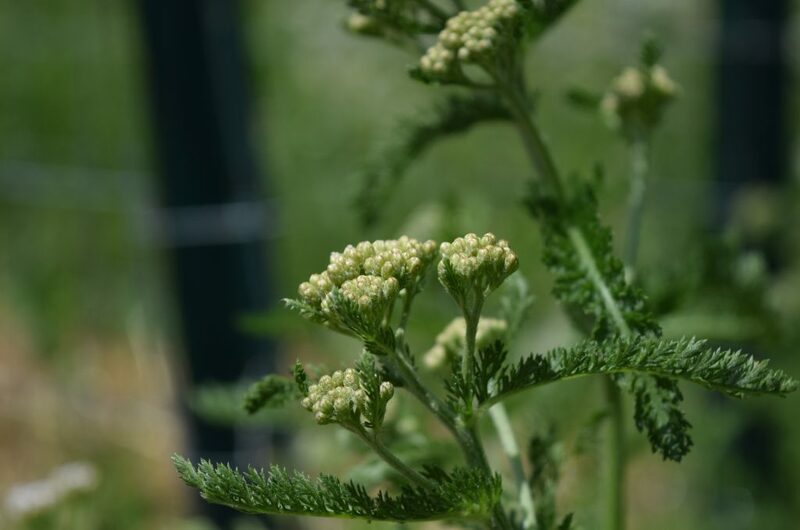 For deeper wounds, yarrow has been able to quickly control the bleeding, while at the same time, providing some pain relief. Although it seems a little scary at the time, packing a wound with yarrow leaves (fresh or dried), will help control the bleeding. Yarrow is antibacterial, anti-inflammatory, astringent and analgesic, making it ideal for preventing infection, stopping blood flow, and reducing swelling and pain in wounds. I keep whole dried leaves in my first aid kit. I also dry yarrow and run it through my coffee grinder (one I keep specifically for herbs). This powdered yarrow is easy to sprinkle over cuts and scrapes. 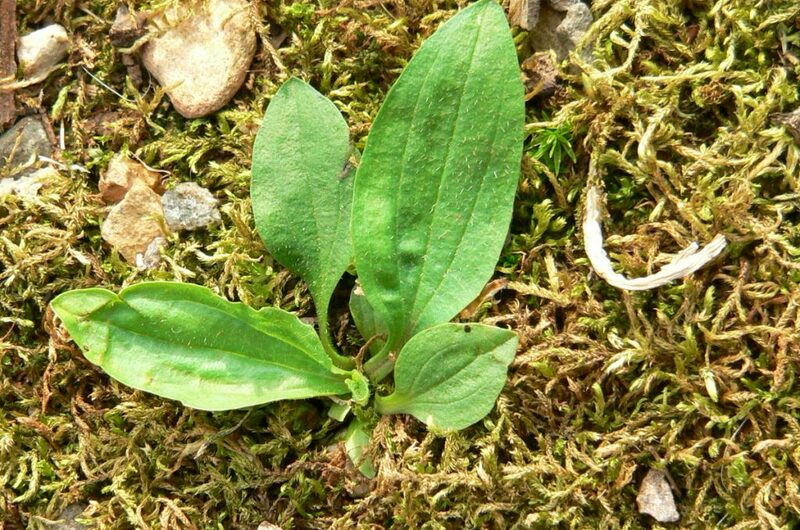 Plantain is a wonderfully versatile plant, grows almost everywhere, and can be used for a variety of purposes. When dealing with bee stings, spider bites, and other insects, plantain has a wonderful ability to draw out the poison/venom. A simple poultice of fresh ground leaves can be applied (or you can chew a leaf and apply as a spit poultice). Fresh leaves work best, but I also keep some dried leaves in my kit to grind and mix with water for the times I can’t find fresh plantain. Although we have a lot poisonous snakes in the mountains and valleys where we live and play, we are fortunate not to have experienced a snake bite. We have had close encounters with rattlesnakes and copperheads, two highly venomous snakes. 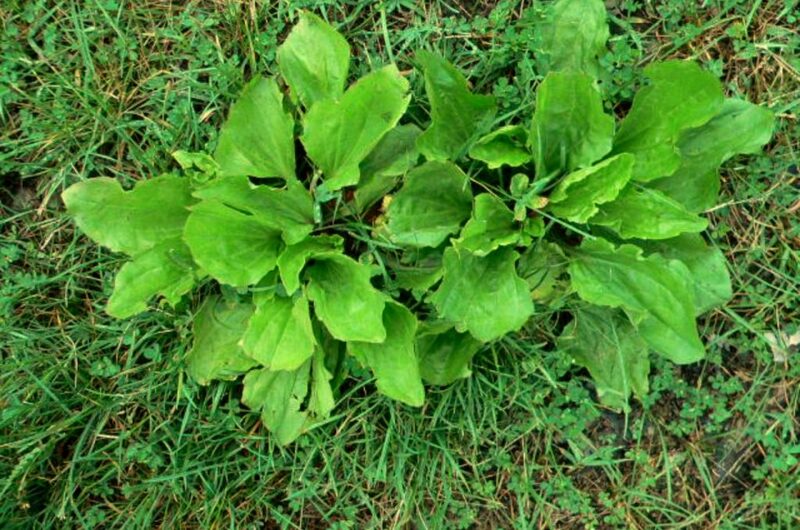 I know where the wild plantain patches grow, and I keep some on hand in our herbal first aid kit. I hope we never have to use it for a snake bite, but I feel reassured knowing we are prepared. *Do not apply comfrey to deep wounds as the wound can close before healed, causing potential for an abscess to occur. Comfrey is a wonderful medicinal herb. 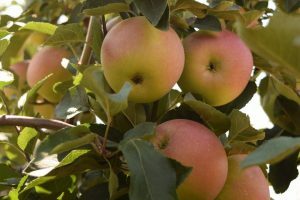 It is high in a substance called allantoin, a plant compound that encourages growth and repair of connective tissue, skin, and bones. 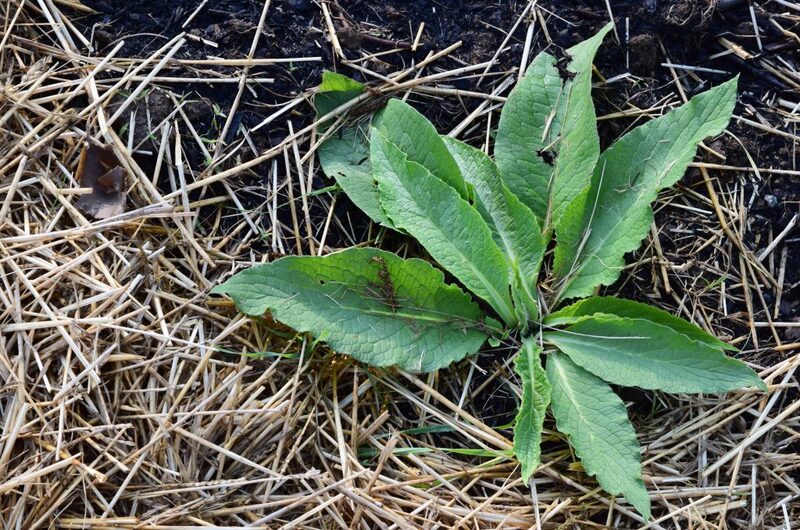 Comfrey helps wounds heal quickly, reduces scarring, and has a long history of use in treating cuts, bruises, scrapes, rashes, and bone and ligament injuries. 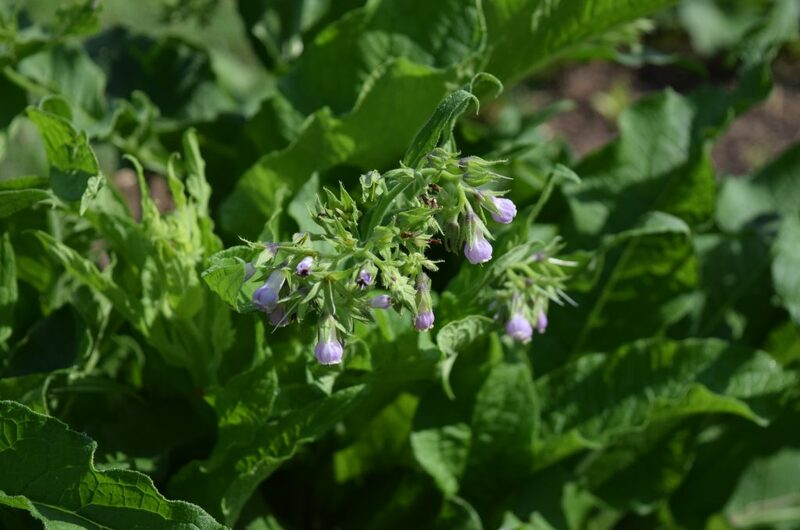 Because comfrey contains pyrrolizidine alkaloids which may cause harm to the liver, I only use comfrey leaf as an external remedy, and only for short periods of time (no greater than 10 days). Comfrey leaf can be used as a poultice, oil, or salve. Contraindications: History of liver disease; avoid during pregnancy. Echinacea offers some very important benefits and I recommend making it a part of your herbal first aid kit. 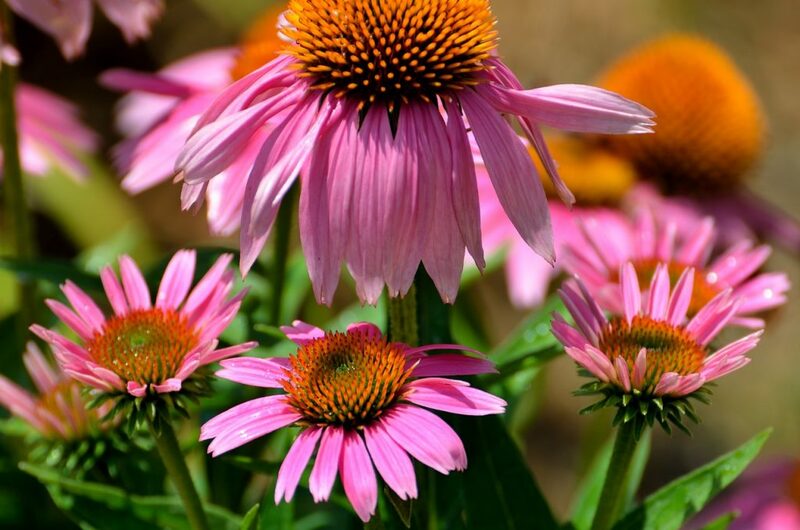 Studies show echinacea has the ability to stimulate the immune system, relieve pain, reduce inflammation, and has powerful antibiotic properties to help prevent infections. 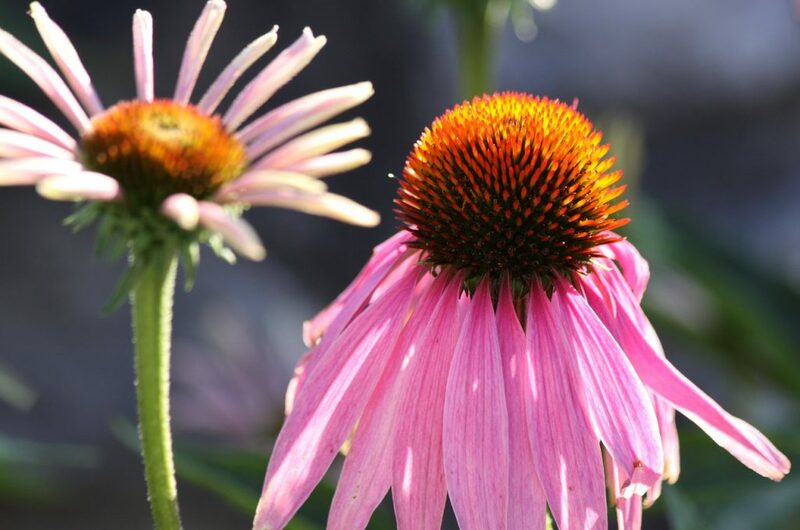 The most effective way to use echinacea in an herbal first aid kit is in tincture form. You can easily make a tincture using the dried stems, leaves, and flowers (the roots are also effective medicine) infused in 80-proof alcohol for 6-weeks. After six weeks, strain off your plant material and set a side a small labeled bottle of your echinacea tincture for your first aid kit. 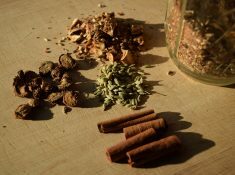 Mountain Rose Herbs has a great article on how to make a tincture with dried herbs. 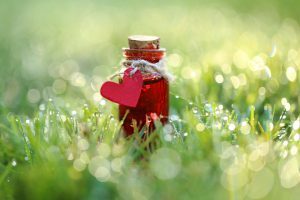 Making tinctures is quite simple, but if you prefer to purchase yours, be sure you buy products made by reputable, established companies that distribute their products through trustworthy and knowledgeable establishments. When possible, select products with guaranteed potency or standardized extracts. If you have never made herbal remedies before, here are some excellent resources to help you learn how. I suggest you practice at least once before a first aid event happens. We have a small first aid kit we carry with us on hiking and camping trips, and a larger first aid kit we keep at home. 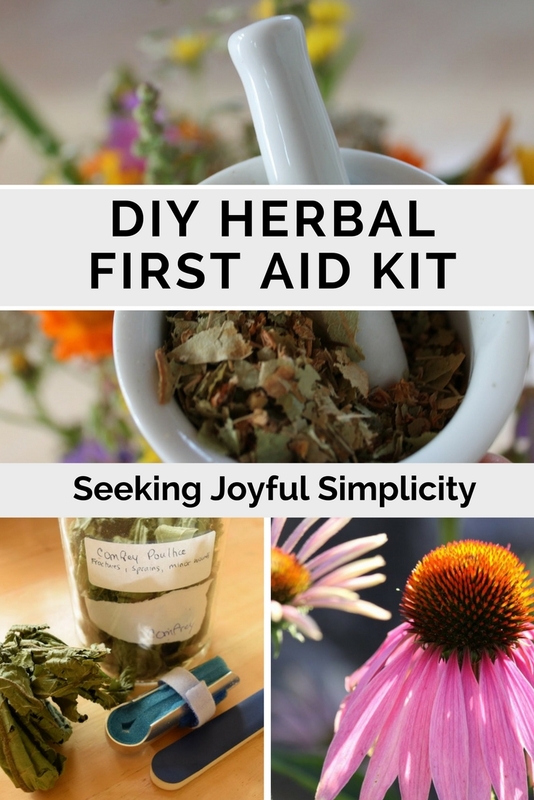 You can purchase a fully stocked first aid kit and add your herbal remedies to it, or simply make your own. There are so many wonderful healing plants to choose from, but these four herbs are a great addition to your DIY herbal first aid kit. It’s truly empowering to create your own herbal remedies and enjoy the benefits of nature’s gifts. Setting up your DIY herbal first aid kit in advance will make things go easier for you when you find yourself needing your herbal remedies, either for yourself, or for your family. But in the end, you will be so glad you were prepared! Great post! I found you through the Homesteader hop and have pinned this to one of my boards! 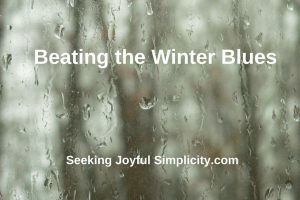 Great post… we do these things also and carry herbs, essential oils and other naturals with us on trips… or have foraged for plantain for an injury on a trip. Pinning your post. Great ideas! I have so many different herbs, and I’ve thought about what basic herbs one should absolutely have on hand. You have some great choices here! Have you thought about adding a little pack of Cayenne pepper? It helps clot blood and also helps with pain relief! 🙂 I think it’s time to reorganize my first aid kit now! I haven’t tried the cayenne pepper myself, although I understand it works well – have you tried it Heidi? Honestly, there are so many things that can go into a DIY first aid kit, and I put off making one for so long because I could never decide! Now that I have a basic kit started, I am sure I will continue adding to it over time. Have fun with yours.